Every employee has the right to a safe workplace, especially those in a warehouse or manufacturing setting where the risk of injury is higher. 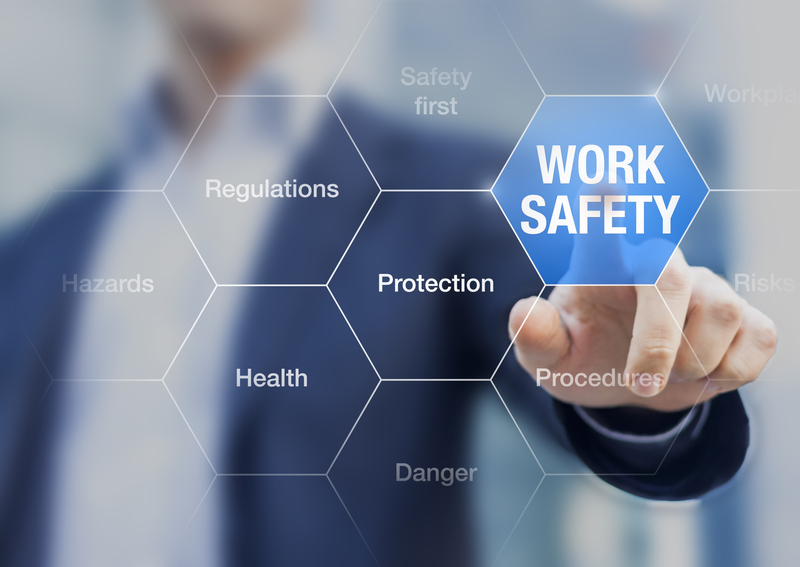 While workplace safety is everyone’s responsibility, it starts with a comprehensive plan to communicate safety regulations, procedures and company goals. Let’s review some of the traditional ways organizations communicate safety information to employees. For most employees, it begins with a blitz of safety procedures and regulations during the onboarding and training process. Unfortunately, 70 percent of new employee training information is forgotten within 24 hours and 90 percent is forgotten with a week (LearningSolutionsMag.com, 2014). Safety information might be on posters placed in break rooms or throughout the warehouse, but these posters never change and quickly become wallpaper. Internal email newsletters have an average open rate of 69 percent and a click-through of 6 percent, and that’s only if your employees have access to email while they’re working (Newsweaver, 2016). Then there is digital signage that rarely gets updated. If these situations sound familiar, where does that leave your workplace safety communications? Proper use of digital signage can be the centerpiece of an effective safety communication strategy. See these 5 tips to improve workplace safety with digital displays. Developing a strategy for your digital displays is the first step to using the medium effectively. Something as simple as a content calendar will bring structure and perspective to the process. You have safety benchmarks to meet. What are the key messages that need to be communicated to achieve those safety goals? Outline your messaging and systematically communicate it in a visually engaging way. Just like the poster gathering dust in the breakroom, digital displays will start to blend into the background if the content is not updated frequently. Conversely, employees will take notice when the content changes regularly. Develop a cadence for your content and rotate the messaging on a schedule. For example, pick one safety topic to highlight every two weeks and cycle through them. Fresh content is essential to keeping employees engaged, and an engaged employee is ultimately a safer employee (Safegagement, 2016). Developing a culture of safety requires frequent reinforcement of important procedures. Use digital displays to continually educate your workforce on the best safety practices and new regulations. These small reminders add up over the long-term, and reinforce the bigger initiatives like yearly safety compliance training courses. Ask for feedback from your workers through digital signage and create a system for them to communicate the information back. They will have unique insights into how to improve safety — after all, they are the people closest to the action. Not only will this provide valuable insights to improve safety, it will help employees feel connected the culture of safety at a personal level. Positive reinforcement is one of the most powerful tools to foster and maintain a behavior. Further reinforce safety training by showing real-life examples of employees being safe on the job. Also highlight team progress toward a collective safety goal. It’s important to keep these overarching goals top of mind throughout the year. Visual content is one of the most immediate and impactful forms of communications. With a strategy and cadence in place, digital displays are proven to be one of the most effective tools to drive employee safety awareness. Creating a safe workplace has a positive impact on employee morale, productivity, retention, and ultimately, the company’s bottom line. Learn more about RMG’s intelligent digital safety solutions today.